C-Store owners continue to face various pressures. From new competitors and formats, to assortment changes and keeping up with the latest marketing and technological advancements, it’s not easy to keep up with the shifting landscape. Consumer preferences are also changing and recent trends indicate a preference for healthier food options and environmentally friendly products. 1. Plastic straws and utensils – While these items may provide a benefit to those using them for a short time, they have a lasting impact on the environment – and it’s not a good one. Consumers have spoken and both states and large retailers have begun to take notice. As noted by NACS, as of July 1, 2018, Seattle will prohibit plastic straws and utensils in restaurants. The General Assembly in CA isn’t too far behind with a similar proposal. Major retails the likes of Ikea, Royal Caribbean and SeaWorld are all taking similar steps to reduce the use of plastic straws in their respective ways. How do your consumer’s feel about the use of plastic straws and utensils? StrasGlobal can help you uncover their concerns with this topic and many more to ensure you are meeting your consumer’s changing needs. 2. Healthier food options – Fresh ‘on-the-go’ food options are now available at most retailers and there’s a reason for that. This is a category that has been growing based on the shift in consumer demand. Consumers are moving away from high calorie, high sugar choices and are converting to healthier food options with shorter shelf life, non-GMO ingredients and organic/natural ingredients. How does your assortment stack up to these needs? 3. Beverage choices – For the second year in a row, water is the #1 beverage product in the U.S., by volume, according to the International Bottled Water Association (IBWA) and reported by NACS in early June, 2018. Take a look around your C-Store, how much space do you have allocated to water? Is that the right amount? Do you have various brands, sizes and styles of water? Water has various usage occasions and as such shouldn’t be lumped into one bucket. StrasGlobal can help you complete a space-to-sales analysis that will determine if you’ve got enough of the most popular beverages. 4. EV charging and alternate fuels – Aside from the in-store assortment, c-store owners also need to consider the changes as the pump. Personal vehicles have made great advancements in the past few decades and hydrogen, E85, E15 and electricity are making a push for the future. 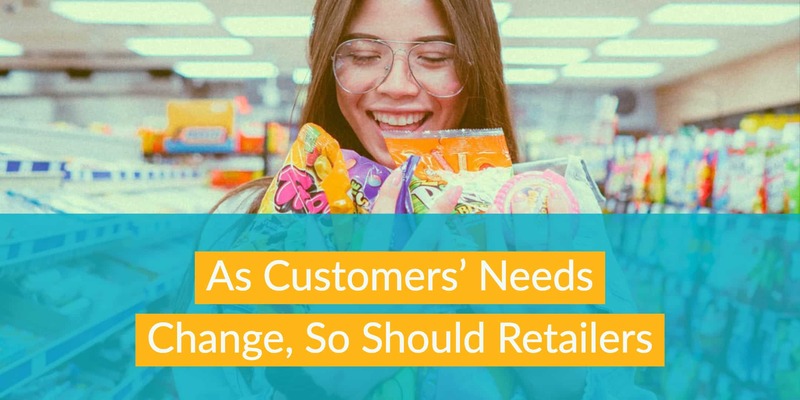 While it may be too early for c-stores to make any adjustments just yet, consider a long-term plan to review these options. Water hasn’t always been the #1 beverage in the U.S. and gasoline may not always be the primary fueling options. Ensure that you’re ready for any changes coming your way. Contact us to learn how StrasGlobal consulting can help you improve your retail site operations, while growing your top line revenue profitably.